If you plan on going to Malta for the holidays, or even staying there a little longer, you’re probably thinking about the housing issue. How can I find something I like remotely, how to pick a location, how can I be sure that I’m not being lied to about the price ? 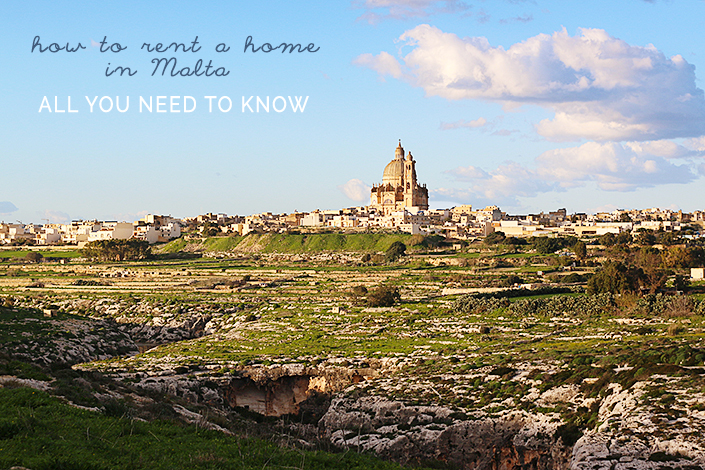 In this post, I help you see clearer regarding rentals in Malta. Rentals in Malta are divided into two categories : short lets, from several days to several weeks, mainly for the holidays, and long lets (an extendible 6 months contract). The rentals in Malta are not really expensive, much cheaper than in France, for example. The price will vary depending on your location on the island, but I will come back to this point later. If you want to rent a small flat (with one or two bedrooms), you can easily find something for 450€/month, even less. For a house, you can easily find a property with several bedrooms and a swimming pool from 600€/month. Seasonal lets are obviously more expensive, but the prices vary depending on the location and the type of property. For 350€/week, you can have a nice flat, or even a farmhouse, with at least two bedrooms. For a more precise idea, I invite you to look directly on the agencies’ websites that I mention below. There are three main real estate agencies in Malta : Frank Salt, Remax et JK Properties. You can find other smaller ones on the archipelago, but I’m not sure they all own a complete website. I have dealt with Frank Salt, then Remax, and I’m really happy with their services. The realtors know how to take your requirements into consideration and are really reactive. A small drawback (there’s always one ) : the websites are not really well kept, you might find a property that is in fact already rented. Don’t hesitate to send an email (or to call) these agencies to have more information about a property, or to explain what you’re looking for. You will get a quick answer from an agent who will send you a list of available properties that match your criterias. If you already are on the spot, the best thing to do is to go to the agency directly. HOW DOES RENTAL IN MALTA WORK ? Once the property chosen, you will sign a lease contract in the agency with the owner, usually for 6 months. You won’t need to give any document, except your ID card or passeport. A deposit (one month rent) will be requested. I’m not really sure about that, but I think the rules are the same : a lease contract and a deposit. WHAT ABOUT THE EXPENDITURES ? Regarding short lets, I think that they are included in the price, but I’m not sure. Ask for more information to your real estate agent. For long lets, usually, the expenditures are not included in the rent. You will be asked to pay for your water and your electricity each month or every two months. Ask for the bill or ask to have access to your meters to avoid a bad surprise. The electricity price is approximately the same as in France (and as everywhere in the European Union, I think). I believe that the water is cheaper in Malta. 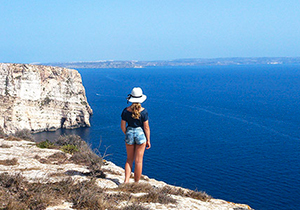 If you like quiet, amazing landscapes, nice restaurants and beautiful beaches, don’t hesitate, go to Gozo. 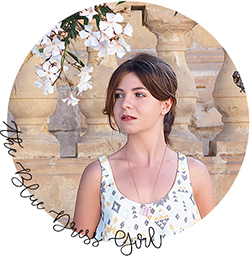 Regarding the location in particular, in Gozo, you can’t go wrong ! The most touristic area is Marsalforn : a little town situated at the north of the island, on a small harbour with a beach. A lot of bars and restaurants, and a lot of tourists as well. If this is your thing, go for it. Otherwise, I would advise you to try Qala (pronouce “ala”) with the gorgeous beach of Hondoq Bay, Sannat or Xlendi (pronounce “shlendy”) and their cliffs. 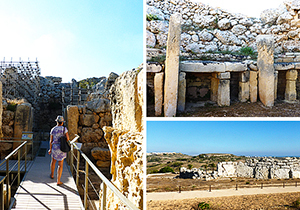 In Gozo, you are ten minutes away from everything (the island is 14 km over 7). If you like cities full of history, visits, or if you plan on doing a lot of shopping/partying, go for the main island of Malta. Saint Julian’s is the trendiest city : dozens of night clubs, bars, restaurants… In Sliema, you can find the biggest mall of the archipelago. And, of course, Valletta, the capital, which is a really beautiful city. I advise to join a Facebook group, like “British in Malta”, “German in Malta”… On the “French in Malta” page, for example, a lot of people are looking for roommates. Don’t worry, 95% of the rentals are furnished. But I warn you : the maltese (and the gozitans in particular) have special tastes in home decor… Finding a nice and modern design is sometimes difficult, but not impossible. But trust me, if you’re going to be in Malta during the summer, give priority to a pool and/or the air conditioning before everything else, you will thank me later ! If you have more questions about rentals in Malta, I invite you to read my F.A.Q. about Gozo.